Bem conservado e mantido 4 BR / 2 BA, casa de 2 andares em uma rua tranquila no sul de New Smyrna Beach. Nossa localização não poderia ser mais perfeito. Para começar, estamos apenas a poucos passos da praia (secção não-condução). Em seguida, você pode andar a duas quadras da famosa e popular, rústico restaurante / bar, Fishcamp do JB. Apenas 2 quadras ao sul é o limite para o National Seashore Park Canaveral, composto por 25 milhas de praia e dunas intocada Oceano Atlântico e é a extensão mais longa de terras não desenvolvidas ao longo da costa leste da Flórida Se ver animais selvagens é sua coisa, peixes-boi são muitas vezes vistos pastando em um parque ribeirinho County com um cais, que é de apenas três quarteirões de distância. Nossa seção de praia não tem condução e de estacionamento público muito limted, tornando-o praticamente privada. Com um monte ao lado vago, temos amplo estacionamento para o seu RV, barco e amigos. Do nosso lugar que você pode praia a pé menos de 10 minutos e atravessar para o National Seashore Park Canaveral, onde não há absolutamente nenhum desenvolvimento. Você explorar as praias e dunas em seu estado primitivo natural. Se observar as pessoas é mais sua coisa, você pode andar a mesma distância para norte e você estará no Mary McLeod Bethune County Beach Park (ver links para ambos os Parques abaixo). Lá você vai encontrar surfistas, um salva-vidas e abundância de organismos apanhar banhos de sol (também quadras de tênis, quadras de basquete e doca de pesca em toda a rua, beira-rio). Por que pagar um braço e uma perna para umas férias de praia quando você pode caminhar alguns passos e ficar por metade do preço? Por que você vai pagar para o nosso lugar, você pode pagar outra viagem. Ou, melhor ainda, ficar com a gente o dobro do tempo! Confira as nossas opiniões e ver o que os nossos clientes últimos estão dizendo. Nós só fui alugar nossa casa há pouco mais de um ano e já tivemos vários hóspedes fiéis. Isso deve dizer-lhe uma coisa. Debi's house was a great respite for our after busy days. The kids loved playing in the water and the street was quiet and safe. The house had all the necessities of home and plenty of space for everyone to have alone time and to spend time together. The beach toys and chairs along with towels we're a great addition and a great thing not to pack. We'd definitely stay again. Relaxing week at the "Lake House"
My family had a fun and relaxing week at the Lake's beach house. Compared to some of the other condos and townhomes we've stayed in at various beaches, this house was quite spacious. We had three adults and two young teens and never felt the least bit cramped. A nice sized kitchen and dining table, as well as two living areas, the pool table, and a fantastic balcony had us enjoying our time in the house as much as our time on the sand. My wife was thrilled with the full sized washer/drier (as opposed to the typical over/under, compact ones we usually see at beach rentals). We brought our own beach toys, but there was a nice selection of chairs and boogie boards for use. The kitchen was well stocked with utensils, dinnerware, pots, pans, and bowls (and most of it even matched!). Food-wise, there were very basic essentials (salt, pepper), so you would need to provide most of what you might want there. I actually didn't mind at all, as I'm a little skeptical of using the "community" food that is left at rental properties. The kitchen includes two coffee makers - a Keurig and a 12-cup traditional drip machine. There were plenty of towels for showers and beach trips. The kids enjoyed the Wifi connection and DVD collection, as well as the pool table. Except for one day-trip to Kennedy Space Center (about an hour's drive) we spent every day out on the beach. The walk to the beach is a piece of cake - up the street a few houses, then right over the public access. The beach was very quiet during our stay (end of March). Right now, the beach itself is not very wide, and very slim when high tide is up. I read that they have been dealing with some erosion from the regular tides, as well as some of last year's storms, but it wasn't a big problem. We just checked the tide chart, and took a nap during high tide. The national seashore is an easy walk south, if you want that more "undeveloped" feel. We did not eat out, but there looked to be some great local places to go. Flagler Avenue in New Smyrna is a nice place to stroll and browse through shops and cafes. We did get some fresh fish and crab cakes to take home at Ocean's Seafoods Beachside. It was delicious. Overall, we had a fantastic week and wouldn't hesitate to return. 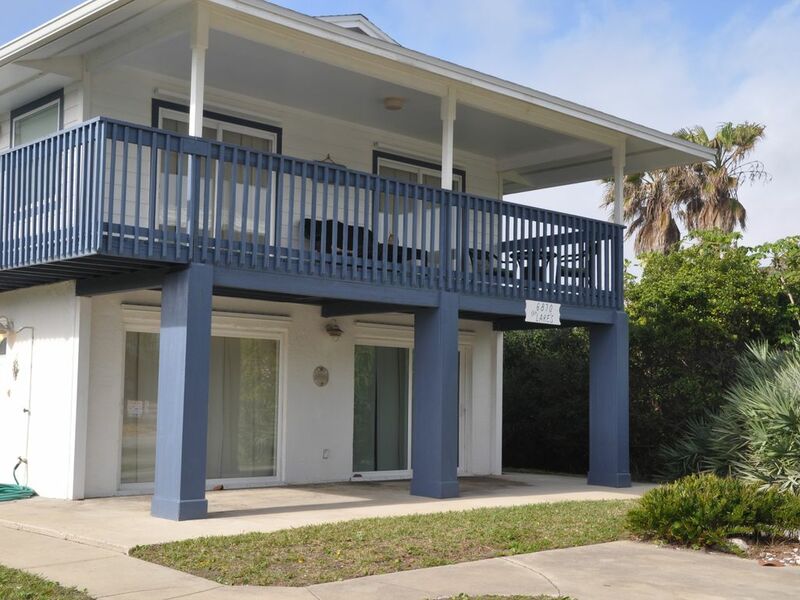 We have stayed at many properties in New Smyrna over the years. Debi Lake's property is now our favorite. Their home is well equipped and VERY clean and the location is perfect. The walk to the beach is shorter than a beach front condo in most cases. The beach, being this far south, has few people on it and is surrounded by wonderful nature. The home is very roomy and we had no problems and no issues - everything was comfortable and it had all that you need. Debi even provides chairs and beach towels - outdoor shower and hose for rinsing, etc. Can't say enough good things about this property. Loved the location.. lots of parking..2 big tv ‘s to watch ..lots of room..clean..cool.. Loved the location..clean cool lots of room and parking. 2 tv’s ..across from beach.. people nice.. Wonderful well stocked house by the beach!! Had a great time in the Lake House! The house is well stocked with everything you need for your beach stay. We enjoyed being across the street from the VERY private beach. The upper deck gave great ocean views! Really enjoyed the pool table. The location is great for those who wish to be a bit removed from the traditional crowded touristy areas. House was clean and Debi was very easy to work with. JB Fishcamp great restaurant! Ate there twice! County recreação parque fica a três quadras de distância com ténis, basquetebol, parque infantil e um cais de pesca. Também duas rampas para barcos estão por perto. Aos domingos no National Seashore Park Canaveral, passeios de barco do pontão de 2 horas de lagoa do mosquito e os estuários são dadas por National Park Rangers (por uma pequena taxa).